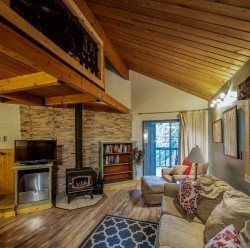 "This was our first time spending a weekend in any type of a vacation rental and we can't wait to do it again! Thank you!" Experience the spectacular wonder of majestic North West Montana at our quiet mountain resort village in Whitefish, Montana. We are located a short drive away from the gateway to world renowned Glacier National Park and just minutes to over 4,000 acres of prime skiing and snowboarding at the Whitefish Mountain Resort and that’s just the beginning…..
View our spectacular inventory of Whitefish MT Condo Rentals. 5 NIGHTS OR MORE SPECIAL DISCOUNT . 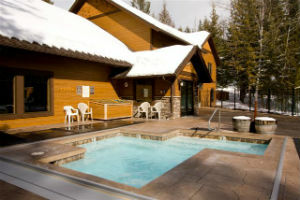 Expect a relaxing vacation get-a-way during your visit at Ptarmigan Village located in an alpine forested enclave of cabin-style condos and mountain homes nestled throughout this private unique mountain resort. Around the village you will find walking trails, tennis courts, two pools – one indoor and one outdoor for summer enjoyment, a children’s playground, a small fishing pond – great fun for the kids and just a short drive away is Ptarmigan’s private lakefront on sparkling Whitefish Lake. The newly constructed state-of-the-art indoor pool building offers a children’s swim area, changing rooms, sauna and an inviting outdoor spa on the spacious heated patio deck.